The result today is communities that are losing their traditional food skills because the people primarily depend on food shipped from the south, which is not as healthy and much more expensive. The partners who created the Collaborative seek to support communities to address these issues by supporting locally appropriate projects. The Collaborative was created in response to requests of northern community members, who told us that they would like to work with a network of supportive organizations to further their visions for healthy, strong, and food secure communities. The Collaborative was also created in recognition that Northern Manitoba is severely under served by philanthropic organizations. A set of values, co-created by the northern and Indigenous people we partner with, guides our work. The values include reciprocity, shared learning, a relational approach to partnership, a collaborative approach to philanthropy, and a slow and committed way of working and 'walking with'. In 2013 the Collaborative was piloted as a partnership between the Province of Manitoba and Heifer International. Since 2013, we have grown the Collaborative to include new organizational partners and we have grown our granting pool from ~$50k to ~$300k annually, and added numerous in-kind supports for community projects. 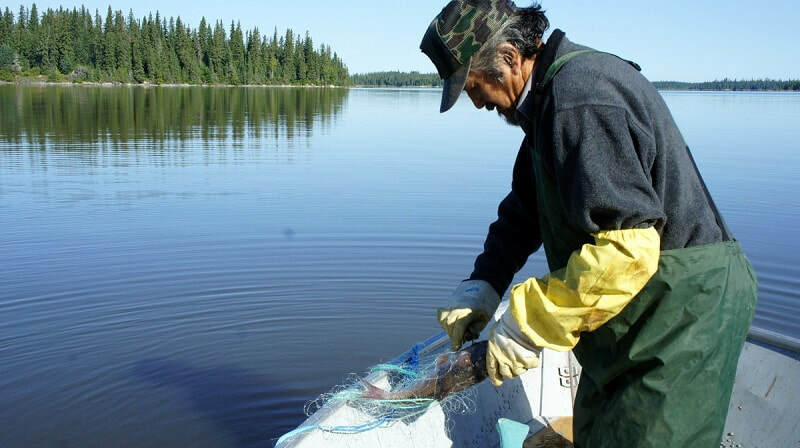 In many Northern Manitoba communities more than half of the adults have type II diabetes. Children as young as 5 are being diagnosed with this preventable disease. This is a health epidemic with repercussions including: community stress and dysfunction; extremely high provincial health costs; youth mental health challenges (particularly depression and suicide); and shorter life expectancies for northern people. Historically these communities were strong and able to provide healthy foods for themselves. Northerners are breaking the cycle of poverty by re-learning traditional food skills and re-skilling themselves to produce more local foods. Preserving traditional food sources, increasing the variety of locally available foods, and related community economic development are key to improving population health and helping community members to be positive change makers. ​We have decided to follow the Neechi Principles of Community Economic Development.